Here is my take on Rae's Spring Ruffle Top (without ruffles though...) I made it just before the winter came and wore it once... which is why I haven't shared it until now. After the wash it was shamefully burried in a drawer with nice warm sweaters. 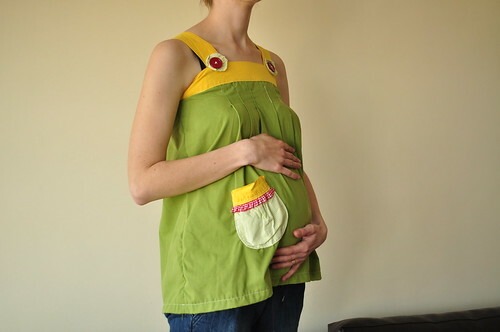 So now that spring is here and I am pregnant I thought it's time to share this top that's so perfect for maternity wear! 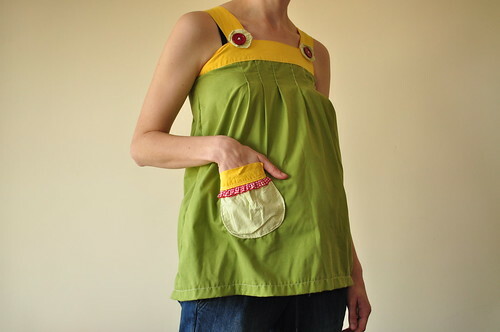 And since we are talking about Rae's spring top, there is another spring top sewalong going on right now! Check it out!